Monaco can be a hectic place especially during the summer months, so here we reveal five top hideaways within 45 minutes’ drive or a short helicopter ride from Monaco if you are looking for some luxurious relaxation after the 2018 Monaco Yacht Show away from your superyacht. 1. Château Saint-Martin Château Saint-Martin near historic Vence exudes patrician grace without a mote of tapestry dust. The château rooms and garden villas are dressed in a light, classical style, with hints of playful Côte d’Azur glamour in gold sconces and boldly patterned fabrics. In the gardens, on warm autumn days, the attached wellness spa offers treatments under a muslin-draped gazebo by the infinity pool — but the true luxury here is the view. 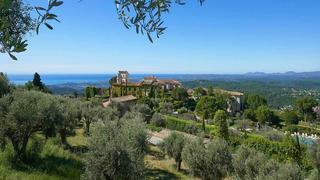 The hills of Vence and soaring 12th century architecture endow Château Saint-Martin with an oceanic panorama that sweeps from Monaco to Nice. It is just under 30 miles by car from Monaco, but many locals whizz in by helicopter for dinner at the one-Michelin-star restaurant Le Saint-Martin, considered to be one of the best restaurants on the French Riviera. Monaco can be a hectic place especially during the summer months, so here we reveal five top hideaways within 45 minutes’ drive or a short helicopter ride from Monaco if you are looking for some luxurious relaxation after the 2018 Monaco Yacht Show away from your superyacht. 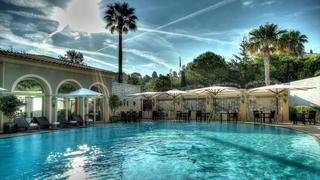 Château Saint-Martin near historic Vence exudes patrician grace without a mote of tapestry dust. The château rooms and garden villas are dressed in a light, classical style, with hints of playful Côte d’Azur glamour in gold sconces and boldly patterned fabrics. In the gardens, on warm autumn days, the attached wellness spa offers treatments under a muslin-draped gazebo by the infinity pool — but the true luxury here is the view. The hills of Vence and soaring 12th century architecture endow Château Saint-Martin with an oceanic panorama that sweeps from Monaco to Nice. It is just under 30 miles by car from Monaco, but many locals whizz in by helicopter for dinner at the one-Michelin-star restaurant Le Saint-Martin, considered to be one of the best restaurants on the French Riviera. 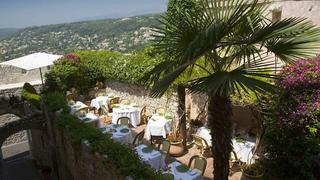 A cosy townhouse hideaway sheltered by the medieval ramparts of the village of Saint-Paul-de-Vence, Le Saint-Paul hotel is a 30-mile drive from Monaco. The décor is opulent, with a jewel-box colour scheme and original Chagalls hanging from the silk wallpaper, while the terrace surveys cobbled streets packed with art galleries and cafés. The sun-bleached stone, bountiful gardens and snug boudoirs of guesthouse Les Rosées make it feel as if it is tucked away in deepest Provence. 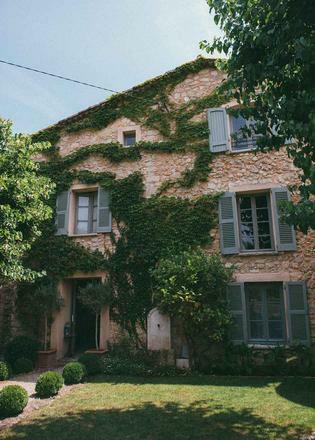 But this rustic-lux retreat is only flung as far as the Mougins hills above Cannes — close enough that Liza Minnelli stays here during the film festival — and it is just over 30 miles from Monaco by car. To soothe yourself after enjoying one of the Mediterranean's top party spots, hotel Le Mas Candille – 35 miles by car from Monaco – takes a serious approach to relaxation. The Candille Spa is thought to be one of the best luxury spas in the Mediterranean. Therapists perform treatments in a Zen environment, while the one-Michelin-star Restaurant Le Candille overlooks the tranquil Riviera countryside – or to totally unwind you can take on the “digital detox”, which involves dropping your mobile phone at the reception on arrival. 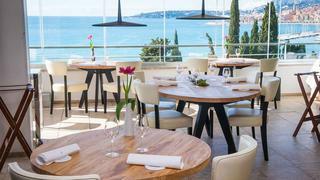 Now 12 years old Mirazur was named third in the list of the best restaurants in the world in June. Chef Mauro Colagreco’s pared-down style yields the limelight to fresh local fish and vegetables. A tempting eight miles by road from Monaco, in the quieter seaside town of Menton, after dinner, take a five-minute walk across the Italian border into Genoa for an espresso at the rustic Bar La Grotta.